Invoice not being served by your debtors? In every business transaction invoice is generated and is widely accepted form for exchange of money for grant of service or product. If the transaction is made on credit and the buyer makes a delay in payment then you have a statutory right to claim interest and compensation on late commercial payments. Invoice is a very important sale/purchase on credit document as it’s the beginning of establishment of creditor-debtor relationship. 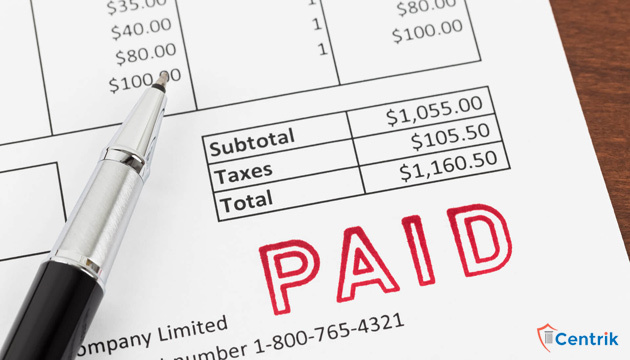 Once an invoice is generated, the debtor is bound to repay the creditor the amount mentioned in the invoice. Does Invoice make a valid contract? Invoices/Bills are written contract within the contemplation of Order 37 of CPC 1908.Case law- KIG Systel Ltd versus Fijitsu ICIM Ltd AIR 2001 Del 357. As a result of acceptance of goods delivered in pursuance of the invoice, the demand for the price of goods admittedly received by the purchaser on the basis of the invoice is written contract. Section 34 of Indian Evidence Act, states that entries in books of account can be treated as corroborative evidence and hence invoice generated alongwith entry in books of account can be used as corroborative evidence to recover your money lying with your debtors. What is GR or Goods Receipt Number? Also we are aware about the G.R. No. that is the goods receipt number, this receipt is called Transport Bilty or Goods Receipt. This bilty is important document both for transporter and receiver of goods. How is GR Number and Invoice useful? In transport bilty, there are lots of useful information which will be helpful for receiver to know whether goods are in same quantity or not. Similarly the seller will have a copy of it which will hold important for him regards the information of the consignee. The consignment will have a G.R number i.e goods receipt number which is required to trace the transaction made. Invoice along with transport bilty is treated as a very important document for proving the default from the debtors’ end. How plaintiff can utilize Invoice/GR Number as evidence? Concluding the above, If you have any invoice or invoices which have been declined by debtors for payment, then you should keep these documents safely and can approach the appropriate court for relief. Also do not forget to safely keep the goods receipt number copy to affix along with the invoice that the company generated. Together both are considered as written contract within the contemplation of Order 37 of CPC 1908 and can be utilized as evidence. Court will consider every matter based on its merits and demerits. Litigation does seem a tedious process but if approached in a right manner is always a win-win situation for the party persuading the case. The quantum of evidence is the amount of evidence needed; the quality of proof is how reliable evidence should be considered. Invoice and GR No. is considered to be a reliable document and is utilised for future refrences. Hence keep your documents safe if you’re still to claim your unpaid money.